Alkaline foods help your body emulsify fat which in turn makes it easier for you to digest food and process toxins. It is widely accepted that maintaining an alkaline state is ideal for health. If you’ve been making all your salads with lettuce it’s time to stop. 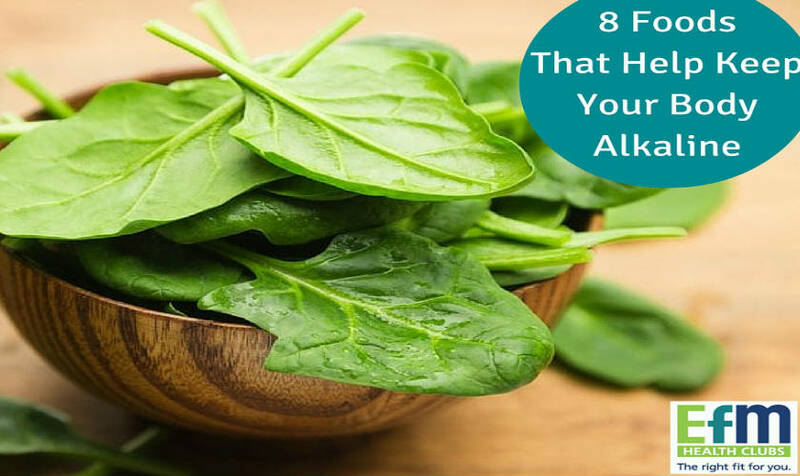 Spinach contains far more nutrients and is an incredible alkaliser. Cucumber is 95% water, making it incredibly good for keeping the body hydrated. They also contain vitamins A, C and even some of the B vitamins. Cucumber is the base for almost all alkaline juices and makes a great addition to salads and sandwiches. The nutritious content of avocados cannot be praised enough. They are one of the only fruits to contain protein and they also contain large amounts of vitamins C, K, B5 and B6. Like cucumber, celery has an incredibly high water content as well as being a great alkaliser so it is the base for many delicious alkaline juices. This vegetable also contains small amounts of a huge variety of vitamins including vitamin C and several of the B vitamins. Capsicum is delicious raw or cooked and they are also one of the most nutritional vegetables around, containing large amounts of vitamins C and A as well as small amounts of several B vitamins and vitamin E.
Another amazingly nutrient-dense food, broccoli contains a significant amount of protein as well as vitamins A, C, and K. If that isn’t enough for you this alkalizing vegetable also has small amounts of manganese, potassium, vitamin E and a variety of B vitamins. Most nuts are healthy but almonds are among the healthiest thanks to their impressive calcium and iron content. Almonds also provide an incredible amount of protein so you can be full after eating just one handful, making them a great weight loss food as well as an excellent alkaliser. You can also switch out your regular milk for almond milk to get an even bigger nutritional boost. People tend to think more about flavor than about nutrient value when they’re cooking but the herbs and spices we use often have as much nutritional value as the food itself, especially when you buy fresh leaves. Fresh basil leaves contain a significant amount of calcium as well as vitamins C and K.
Like it? Please share our infographic!